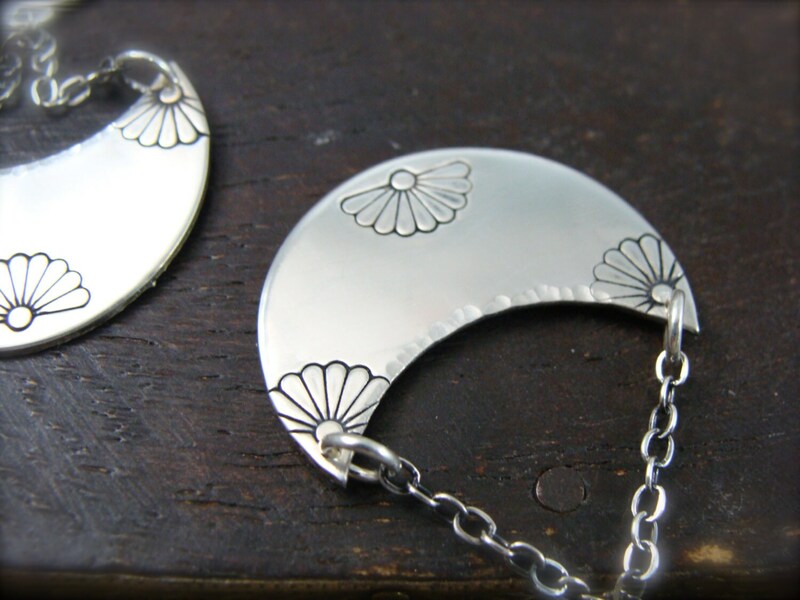 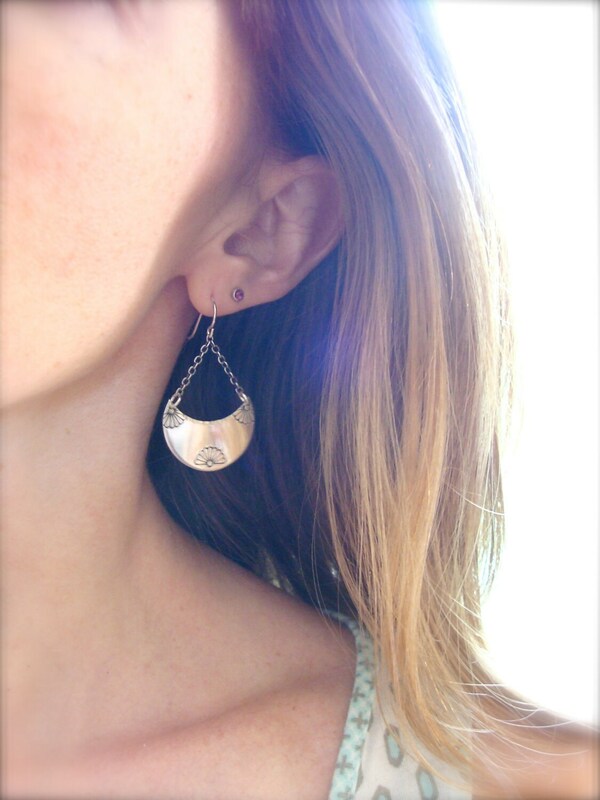 These sterling half moons feature little fan shaped patterns that have been hand stamped into the silver. 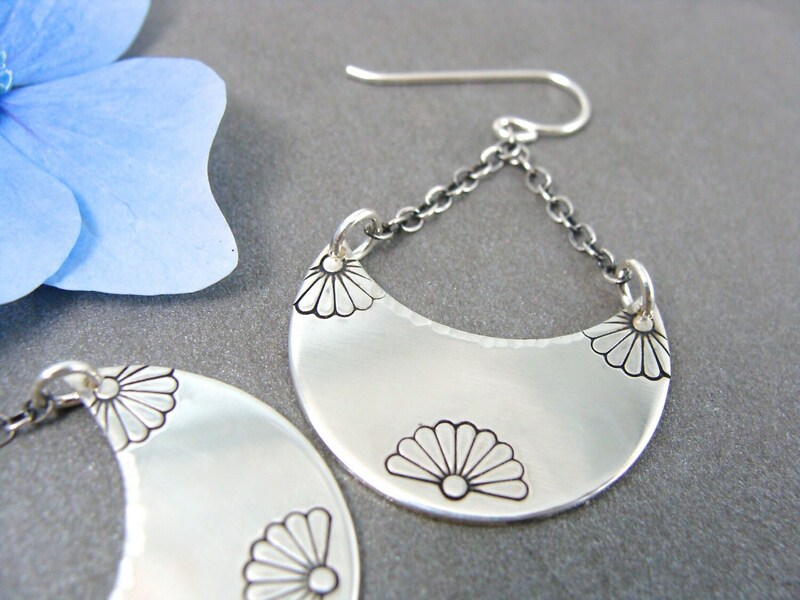 All the delicate details have been accentuated with a dark patina. 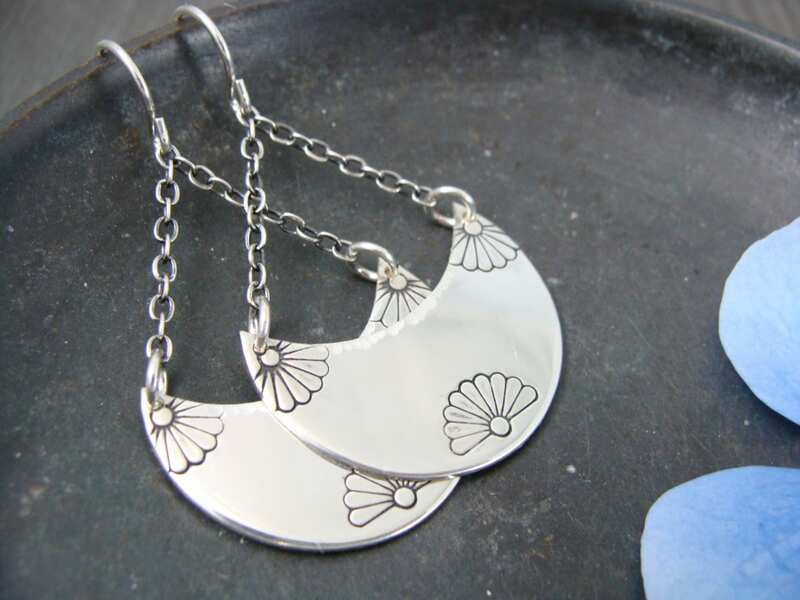 The earrings hang from sterling chains and ear wires. 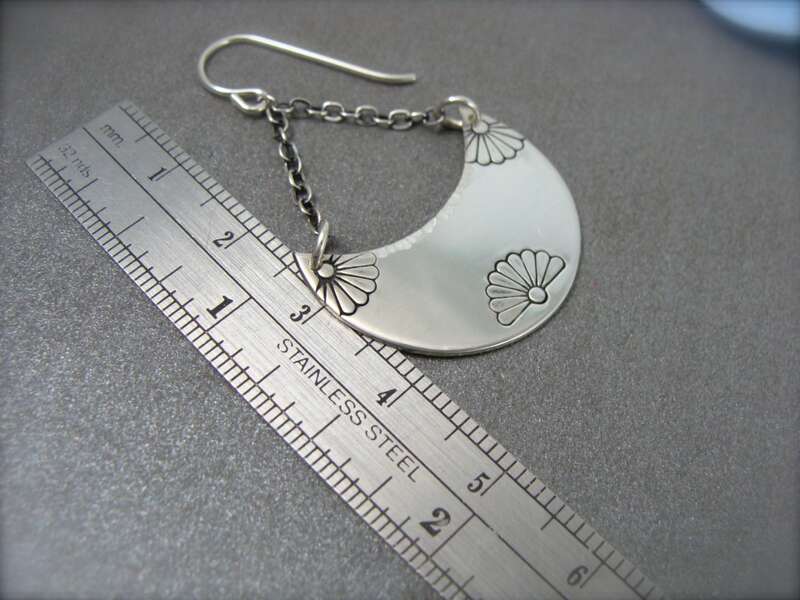 Size ~ 1 x 1 1/2"